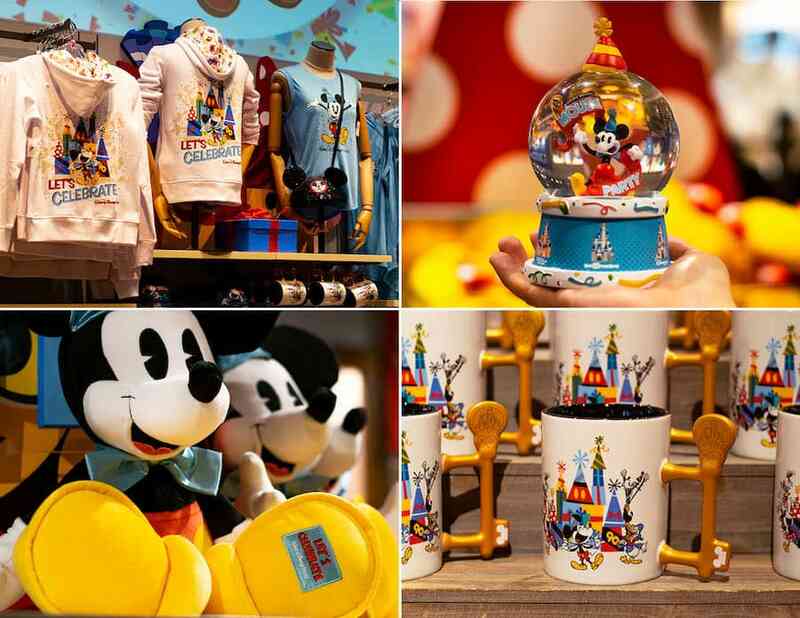 World of Disney store: There’s a bright and colorful section inside the World of Disney store to celebrate 90 years of Mickey Mouse. You’ll find an assortment of everything you need from apparel for adults and kids, to home décor, plush and more. 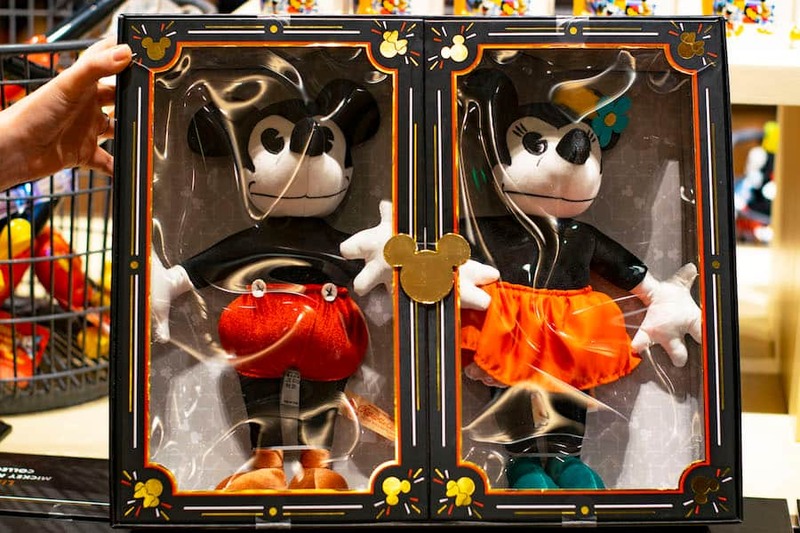 One of the gems I spotted was this limited release Mickey and Minnie Mouse plush doll set re-created from the original 1933 patterns acquired by the Disney Archives. If you’re a collector, this a must-have! Another cute find I spotted was the Mickey’s 90th Tsum Tsum collection. It features the Fab Five with an adorable 90th embroidery stitch. 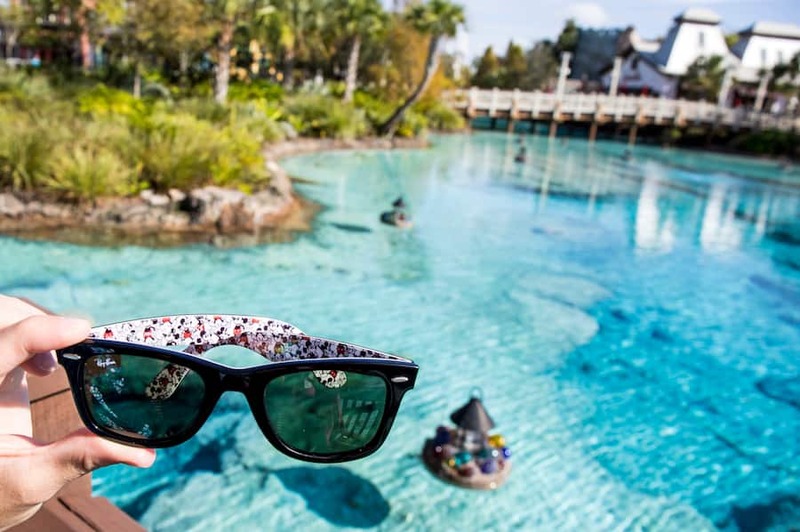 Sunglass Icon: Stylish frames are a quintessential accessory for your wardrobe and these Mickey Mouse Ray-Ban frames are perfect for any Disney fan. The limited-edition Mickey 90th design features custom artwork by lead character artist, Jeff Shelly, making them a collector’s item as well. Styles include designs for both adults and kids and are available in limited quantities, so be sure to get your hands on these before they’re gone. Havaianas: If flip flops are your thing, there’s many Mickey’s 90th design options to keep you looking stylish from the pool to the parks. 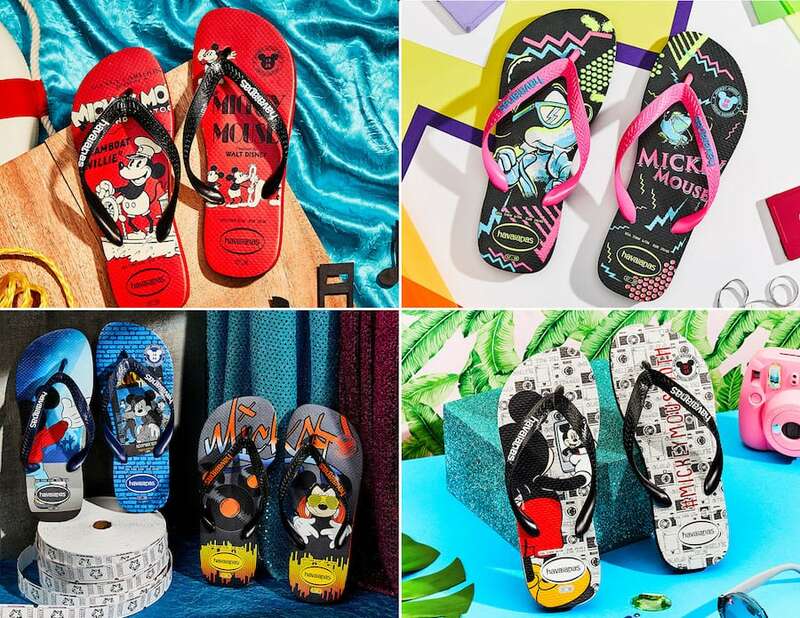 Each design represents the playful spirit of the Havaianas brand featuring versions of Mickey that range from the classic Steamboat Willie, a 1970s-themed “Groovy Mickey” and a “Boy Band” version representing the 1990s (as a 90s girl at heart, these are my absolute favorite)! UNIQLO: I’m always amazed by the incredible artistic styles of Mickey Mouse you’ll find inside UNIQLO. 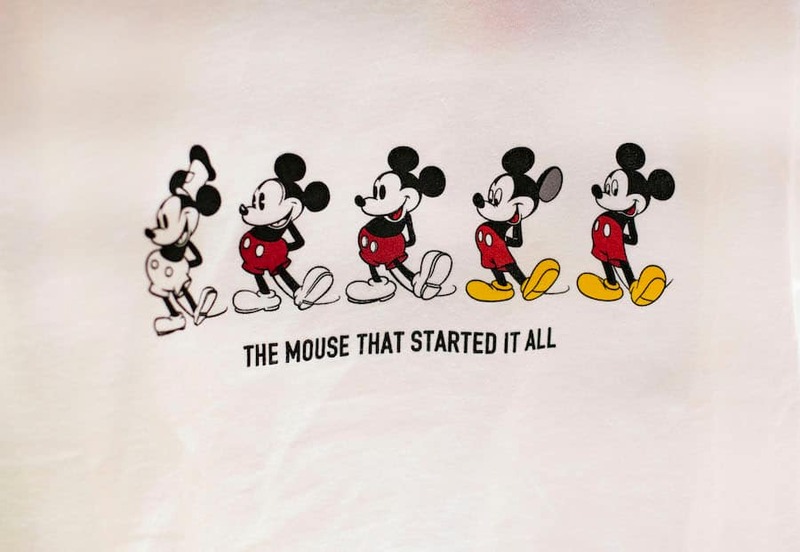 Be sure to check out the “Celebrate Mickey” collection featuring tees and sweatshirts with iconic artwork and quotes from each era of his heritage. My favorite design? 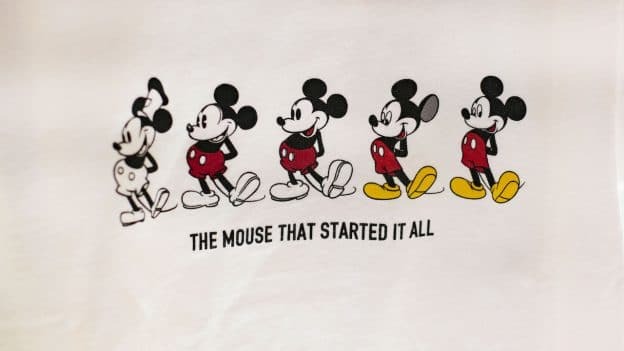 The classic “The Mouse That Started It All” white tee. It’s incredibly versatile – you can style it for a casual day in the parks or dress it up for a Disney Springs date night. 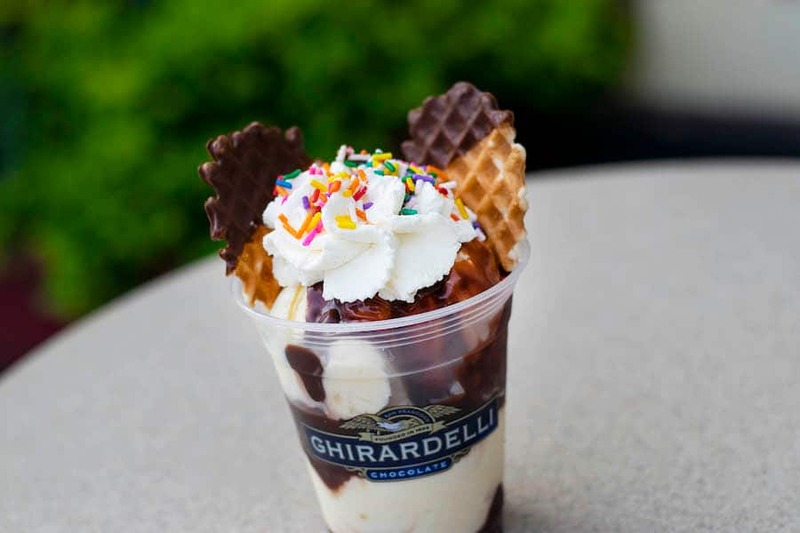 Ghirardelli Soda Fountain & Ice Cream Shop: You may remember we announced Ghirardelli’s Magical Birthday Sundae only available for a limited-time last winter, but I’m happy to share that they’ve brought back. It’s topped with everything you love featuring Ghirardelli’s rich and addicting hot fudge, whipped cream, and chocolate-dipped waffle cone ears with sprinkles. It’s only back while supplies last, so be sure to make a stop at Ghiraredlli during your next visit. Which collection speaks to your style? 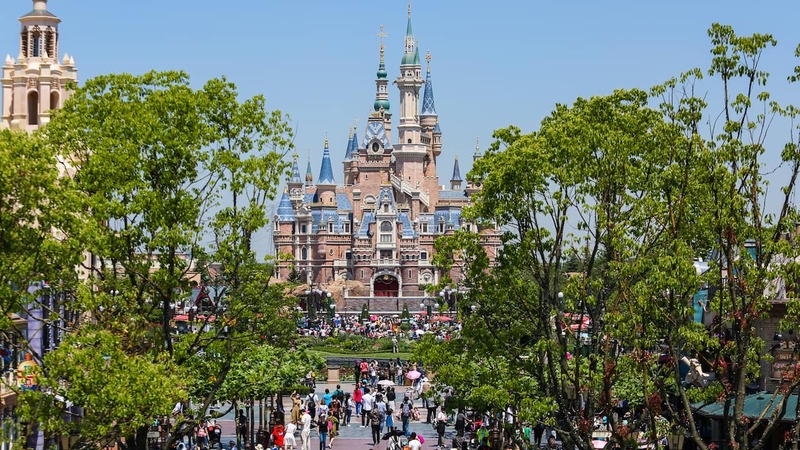 I’d love to know how you’re planning to celebrate Mickey Mouse this year! Sure could use a pair of those Ray-Ban sunglasses!